FileFort is free, easy to use file backup software that will automatically backup your critical data to virtually any type of storage media including CD, DVD, Blu-ray and remote FTP servers. 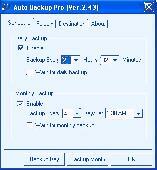 AutoSync File Backup is a free program that allows you to back up all your imporant files with just a few clicks. 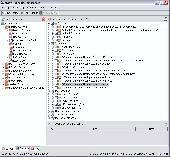 AutoSync is easy to use, and can save your files if something crashes your computer. vCard file Converter Software have professional behavior to easily reads your contacts from MS Outlook and quickly completes convert Outlook contacts to vCard and convert vCard contacts to Outlook also with all of its components.